If you already have a website for your business, you should start blogging to increase traffic to your website. You may be a little hesitant to get started, you may not feel like you have a lot to share, not much that would be interesting to others. That just means that you are already thinking in the right way; you want to write articles that are interesting and informative and helpful. 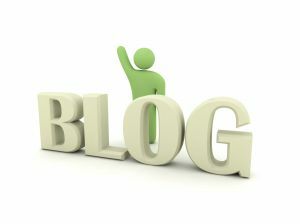 Another article Marketing Your Small Business with Blogging gives you a good start in creating your own blog. your website visitors become more interested in what you are selling. There are so many resources shared on the Internet, to spark your ideas for your own blog articles. Think of an interesting topic related to your business and start searching. Get started sharing a bit of yourself, making new social connections, letting others know what an interesting and helpful person you are. Have you started a blog for your own business? How is it going? Do you have any other questions about blogging, or helpful business blog suggestions to share? Got questions? We’ve got answers to help you market your small business with your website – Contact Jax SEO Works! This entry was posted on June 30, 2010, 9:26 am and is filed under Content Development, Digital Marketing, Website Development. You can follow any responses to this entry through RSS 2.0. You can leave a response, or trackback from your own site. Start a blog on your small business website! Website Analytics for your Website.